Keep your most precious photo of your baby's Christening or Baptism in this unique Silver Baby Baptism Personalized Picture Frame. Remember this special day for years to come with Customized Baby Gifts like this when attractive Christening Engraved Frame. 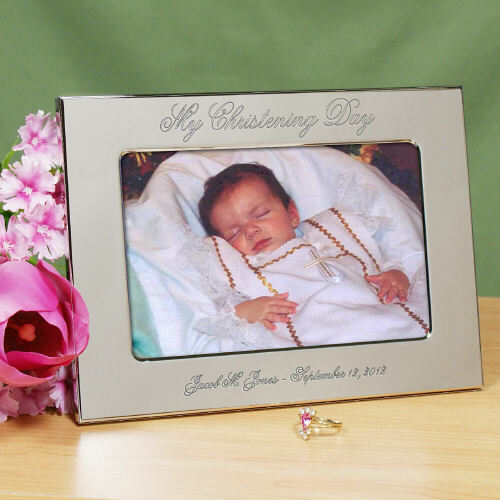 Engrave your Baby Picture Frame with Christening or Baptism, Name and Date. The frame is really nice but the personalization is extremely hard to read. I wish that the letters were either thicker or maybe darkened in a way where you could read it easier.